Today’s tutorial features some masked stamping with the Vintage Collage A4 stamp set included in Creative Stamping 67. This Vintage Collage stamp set (with some exclusive Crafty Individuals designs) is perfect for all-occasion cards, both feminine and masculine. 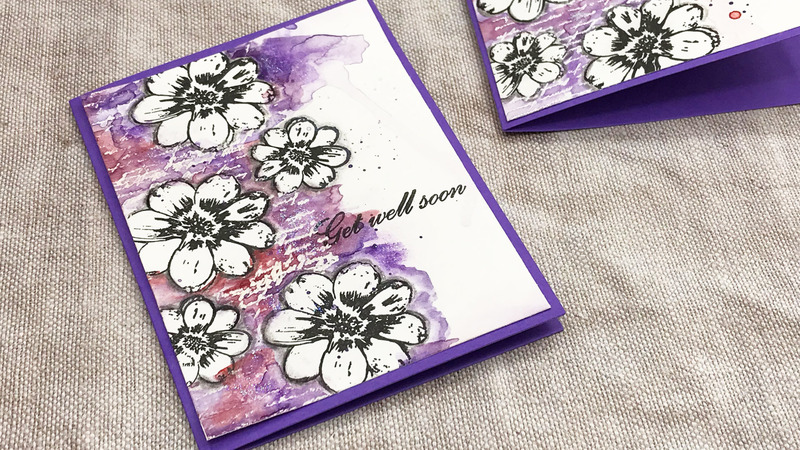 We used the floral and script block stamps to create this (mostly) single layer birthday card. Stamp masking is pretty easy to do and they’re perfect for layering your stamp images. The hardest bit is probably fussy cutting your masks. But once they’re made you can store them with your stamp sets for easy access! You can use stamp masking paper to create your stamp masks, or you can use sticky notes as well. As long as they’re low tack, they’ll work for this project.